Update 3/30/2014: In a post called Faith in the Dark , Ben has written a brief paragraph on each line of the creed, each as imaginative and insightful as they are concise. 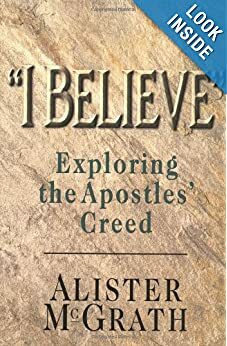 At the Faith and Theology blog, Ben Myers has released videos of 9 sermons which offer a remarkable 4-hour series of reflections introducing the Apostles’ Creed. See the videos all together at youTube , or together with brief descriptions at F&T . Karl Barth, Dogmatics in Outline (1949). Michael Jinkins, Invitation to Theology (2001).